water stains getting on the face with glass covering them and wouldn't the stains run down if it's hanging on the wall... the number fonts don't match any other clock face..
Can somebody bring me up to date on small kitchen soda and gas and oil clocks. Again not saying they are fake... but seller wouldn't tell me if the faces were new. Just the clocks were old and everything "looked" consistent with age. I saw all his completed auctions and I would have to agree, I have never seen any of those before, (not claiming to be a clock expert). Prices on some are lets just say, quite high. It's also the reason, besides money, that I don't invest in either signs or clocks, too many fakes. This problem will never fix itself, will only get worse. With the price of signs skyrocketing, the quality of fake signs are also improving so before we know it they will be equal in both looks and quality, or at least close enough that it will be impossible to tell the difference, especially in photos. His auctions descriptions are a little strange as far as wordy with different fonts/colors. To me that can be a way of hiding something. These clocks appear to all be made of plastic (no chipped paint) and all have new power cords. High prices paid and he still maintains 100% feedback. I don't get it either. No clock expert here either, but no way these are from the 50s. They do look plastic and interesting he calls this listing vintage, but the Teem Clock he has for sale he calls original. Also for the Teem clock he says that is 1940's, but I thought Teem did not come out until 1960? The clocks I'm mostly questioning are all the sold little funky shaped kitchen ones... I think the clocks are real (old) just something about the faces. just jump all over and do whatever shape they have laying around... $800+ dollars for a small odd clock I would want to make sure it's the real deal. companies (one even has 2 oil companies on it)... all same condition.... none worse or better than the other. There is an old saying "If it looks to good to be true, it probably is". There are just too many being sold at one time for these to be original. Maybe the clock is real but the face sure ain't.I am pretty sure that there never was a Dog n Suds clock like the one that is on the sold portion of his listings. A lot of people being swindled. 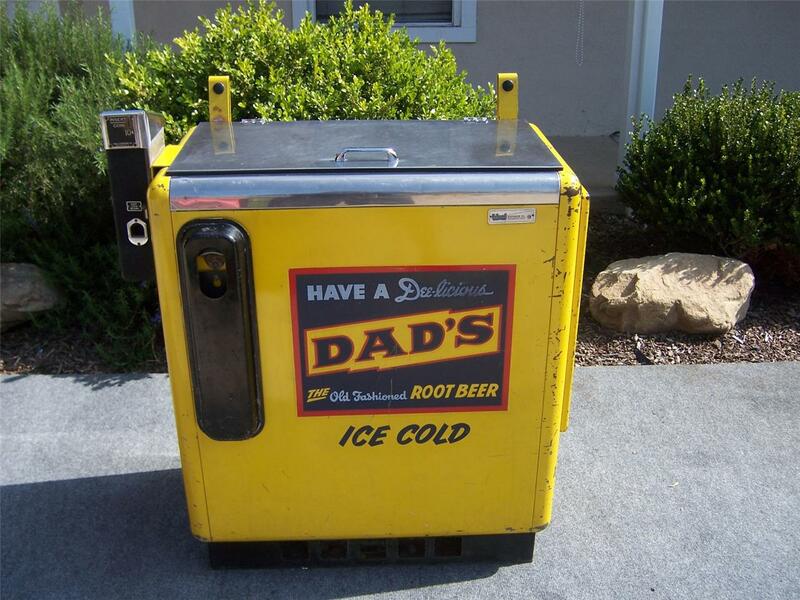 I've collected soda for over 40 years and have never seen a Mountain Dew or a Dad's Root Beer clock like the ones sold. I also agree that the cord is too new. Yes they say it "may" be a replacement but I think they should know it if they deal in clocks. Buyer beware with this guy. There is too much fraud on eBay today. Received an answer from some people that collect Telechron clocks and stated this is a fantasy clock ! I'm not 100% sure but I think I have been to this sellers brick and mortar store. Has some interesting old stuff and lots of clocks. Not just advertising clocks but all kinds. I remember a conversation with him about a clock he was working on that had a glass face that was broken. It was not an advertising face but it was an antique clock. I asked how it the world he would find a replacement. He told me that he had a contact with someone who could print a screened image onto glass so he would just have a new one made. Now I'm not saying these are made the same way and I'm not completely sure its the same person, but I came across this seller a year or two ago and thought the same thing about the sell prices and I also questioned whether they were legitimate. Personally I also think they look cool, but would not be a buyer.